We define ourselves based on the relationships we build with our clients and the ability to provide you with the ultimate salon experience through dedicated, expert care. From haircuts to hair color, small changes to reinventions, our hair stylists work with you to design the perfect, customized style. 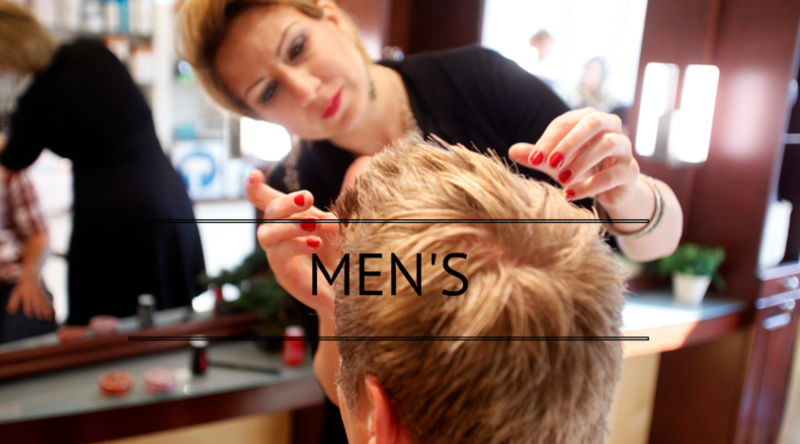 Hairstyles aren’t one size fits all, especially when it comes to men’s cuts. Mahogany Salon and Spa stylists create looks that complement you and your individual features. From cleanse and treatment to protect and style, we curate the best professional grade retail brands for hair home care available in the industry. Our selection of products are chosen to meet the needs of a variety of hair types. Whether hair is fine, straight, extra curly, thick or thin, heavily styled or gently natural, each of our brands provides a solution for a variety of needs and preferences in hair care. Allow the experts at Mahogany Salon and Spa to make your special day or event even more beautiful. Whether its a wedding, prom, of just a special night out our Stylists offer extensive knowledge and experience to get that look you love. Look sharp and feel great knowing your style is in good hands.